You need to know about Swedish candy. Because to be honest…I didn’t but a mere 5 years ago. After being turned on to it though, I can honestly say that it’s easily in my top two or three favorite candy countries. Yeah. So why is that? Mostly, for whatever reason, it’s because there’s an amazing variety of chewy, Sour, hard candies, and licorice. You commonly see a Swedish candy jar full of a mix of these items, and I can say with authority that that’s my favorite way to eat them-in a mix. But getting this fabled Swedish candy…it was hard as hell a few years ago. There’s a few brick and mortar shops that carry them, but mostly it’s an online purchase thing, and a sketchy one with long waits at that. All that’s changed now, thanks in large part to Candy People. They’re suppliers for many of the most accessible Swedish candy shops out there, and now, we have something new from them. Of course they’re Vikings, and of course they’re Sour. Why wouldn’t they be? The first bite of these things…wow. Massive flavor explosion, and an extremely pleasant Sour rush. Both mellow just a bit as you keep eating, but the flavors stay fresh and natural tasting. 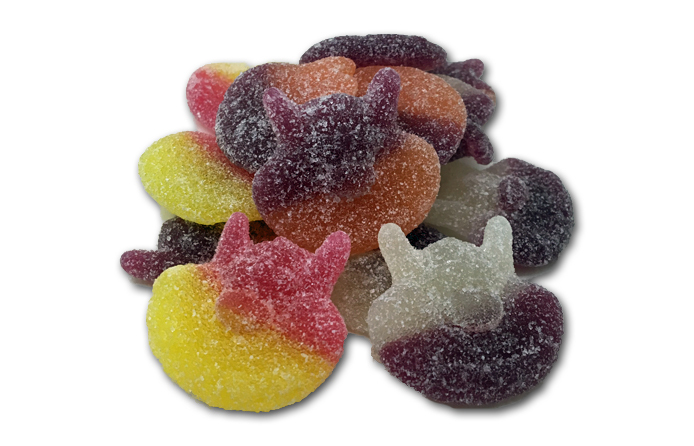 The consistency of these is more of an ultra tough fruit jelly than a gummy-you can easily bite right through them. And they’re kind of a two or three bite candy, which is always appreciated. A little goes a long way. While not all of the flavors pop as much as the black currant, there’s just something incredible about the first bite of one of these. Every time I eat one, it’s as if I’m eating something special and different and new-every time. That doesn’t continue through the entire piece though, which is crazy. I’ve never really experienced this before. In any case, these are a win. Candy People have the people in mind, and these will start cropping up at more and more places. Any brick and mortar candy shop your frequent that has Scandinavian candies will for sure have these soon, if they don’t already. 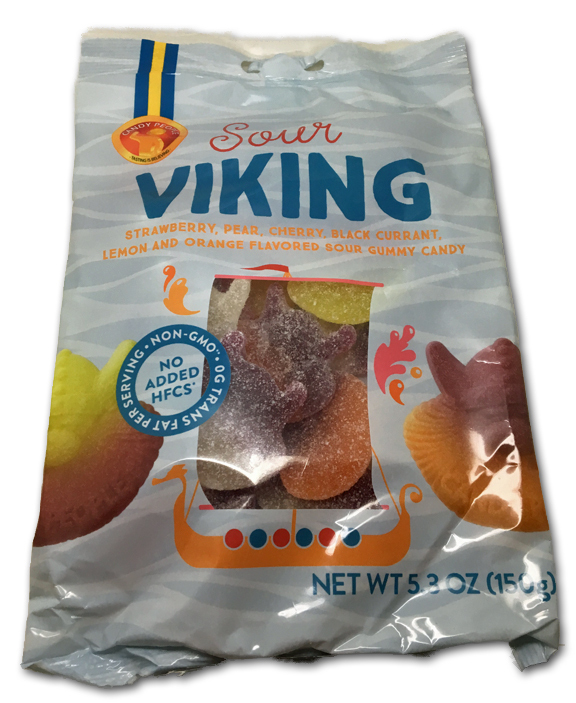 you can find them here: http://candypeople.us/candy-varieties/product/sour-viking-5-3-oz-bag-15-pack/ but you need to set yourself up as a reseller to buy. Perhaps they should look into a little company called Amazon. Note the new link to Amazon!